How Will Dividend Stocks be Effected by Rising Interest Rates? Today’s blog post was a suggestion from another blogger “Fumbled Returns”, you can find him at Bear with the Bull. He asks a very interesting question, for the record, not all dividend stocks are alike. There are a multitude of variables that influence the value of a dividend stock and their dividend payout. That being said, raising interest rates are a big factor in causing the average investor to adopt a negative view on dividend stocks. They tend not to distinguish between the good and the really bad dividend stocks. In the past, many of my good quality dividend stocks have been trampled by the herd of sacred investors running to the exits. Telecommunication companies require a lot of debt financing in order to expand or upgrade their networks. They are typically slow profit growers so the majority of investors buy these stocks for the dividend yield. Telecommunication companies have to compete with long-term bond rates in order to attract investors. Verizon Communication looks attractive with a 4.5% dividend yield when the 10 year bond yield is under 2% but less so if the bond yield goes back to the 4% level. Real Estate Investment Trusts (REITs) is another sector that carries a lot of debt and higher borrowing costs could affect their ability to expand their holdings. However, raising interest rates are also an indication of strong economic growth which allows Reits to raise rents and reduce vacancy rates of their rental units. Another factor that investors sometimes miss is that Reits have long-term mortgages which are staggered so they don’t all come due at the same time. I have picked up some real bargains once the herd has run to the exits. High yielding Master Limited Partnerships (MLPs) in real estate mortgages is an area that investors should head for hills in a raising interest rate environment. These are highly leveraged partnerships with dividend yields over 12% which look extremely attractive today but are very risky!!!! Banking used to be good dividend sector prior to the financial crisis. If long-term rates rise and short-term rates remain near zero, banks that lend long (mortgage lending) and borrow short will benefit. But if short-term rates rise with long-term rates, banks with balance sheets covered with assets sensitive to short-term rates (home-equity loans, credit cards, business lines of credit) could be in trouble. Commodity stocks will suffer if raising interest rates cause a strengthening of the U.S. dollar. Weaker commodity prices will reduce a company’s revenue and lessens their ability to maintain a dividend payout. Not all dividend stocks are created equal. Some sectors like consumer staples, health care and technology have relatively low debt levels. They have a tenancy to generate a lot of cash and have a history of increasing their dividends. Raising interest rates will have little effect on their dividend payout. For example; Microsoft has a dividend yield of 2.9% and Pfizer yields 3.3%, in my playbook, their dividends are much safer from a cut than say, American Electric Power yielding 3.8%! Raising interest rates usually causes FEAR levels in investors to surge. 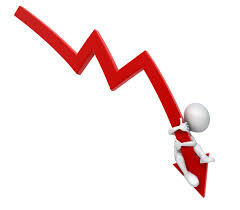 Stock values in all sectors could experience a temporary fall in value. Should You “Sell in May and Go Away”? “Sell in May and go away” is an old Wall Street saying. It is a well-known trading adage that warns investors to sell their stock holdings in May to avoid a seasonal decline in equity markets. In Canada, we say “buy when it snows and sell when it goes” This strategy is based on the historical underperformance of stocks in the six-month period commencing in May and ending in October, compared to the six-month period from November to April. According to the Stock Trader’s Almanac, since 1950, the Dow Jones Industrial Average has had an average return of only 0.3% during the May-October period, compared with an average gain of 7.5% during the November-April period. Another paper published in the Financial Analyst Journal in 2013 studied this effect during these periods and found that the phenomenon did indeed exist for 1998 to 2012. “On average across markets and over time, stock returns are roughly 10 percentage points higher in November-April half-year periods than in May-October half-year periods,” the paper concluded. Lower trading volumes due to the fact that many investors go on vacation during the summer months and it also takes away potential buyers for stocks. Increased money flows into retirement plans during the winter months are also cited as reasons for the difference in performance during the May-October and November-April periods. This could explain the relative increased demand for stocks during the winter. Seventy percentage of economic growth comes from consumer spending. Consumers tend to spend more for home renovations during the summer, kids going back to school in September and of course Christmas spending in the fall. Therefore corporate earnings tend to stronger in the third & fourth quarters with reporting results starting in mid-October and mid-January respectfully. Investors feel more confident putting money into stocks when economic growth and earnings numbers are more robust. First quarter consumer spending and economic growth can be effected by the severity of winter weather. Credit card debt from Christmas spending and higher heating costs can affect the amount of money available for consumers to spend. There are limitations to implementing this strategy in practice, such as the added transaction costs and tax implications of the rotation in and out of equities. Another drawback is that market timing and seasonality strategies do not always work out and the actual results may be very different from the theoretical ones. Although, selling everything in May and buying back into equities in November isn’t a good strategy. Being aware of seasonal patterns can assist in boosting your investment returns. Keep in mind, the first quarter GDP numbers and the March employment numbers come out the first week of April. Market expectations have turned negative, analysts have lowered earnings expectations and are expecting weaker economic growth. Living in Canada, I definitely spend more time on investing during the fall and winter months. Too busy enjoying our short summer to follow the stock market. Do you take into account any seasonal investing patterns before making your investment decisions? There are no shortages of oil experts giving their opinions regarding the future price of oil. The price volatility in the oil market has been much higher than the overall market. It has made some traders and hedge fund managers a lot of money during the first quarter of 2015. For the record, I am still bearish on the oil patch as an investment but I have traded some options on Canadian oil companies in my play money account. He sees $70-a-barrel oil by year’s end, and between $80 and $90 within 12 to 18 months. But Pickens did dial down his longer-range forecast from December, when he predicted on “Squawk Box” $90 to $100 barrel in 12 to 18 months. Jim Cramer has been waiting with bated breath for some sort of collapse of oil. With all these talks of a $48 oil price causing oil companies to go bust, where the heck is the collapse? Cramer has also been waiting for the junk bond market to go up in flames, now that it is flooded with $200 billion in oil and gas paper that was raised back when oil was at $90 and headed higher. How the heck is it still going strong? Even the high-yield ETF called HYG, which includes a lot of these junk bonds, has pretty much sustained its rally since the bottom where most oil stocks hit their low. Cramer thinks that if things were really as bad as they are supposed to be, wouldn’t HYG be down at least 10 to 15 percent? He would not predict where oil prices were headed. He noted that U.S. crude could dip below the $40-$50 level for a period of time because of those inventory numbers or if things calm down in spots like Libya or Iraq, which could bring more oil online. Prices could also rise if there were disruptions to supply elsewhere in the world, he added. “If you look at the performance of the U.S. economy, it’s OK but it’s not robust. Europe is still struggling with declining demand and China has actually slowed its rate of energy demand growth. So all of those are conspiring to create this imbalance,” he said. Goldman forecast in a Jan. 11 note that WTI would drop as low as US$40.50 a barrel in the second quarter before rebounding to US$65 in 2016. The bank projected that Brent will slide as low as US$42 and average US$70 next year. WTI may not reach Goldman’s forecast of US$65 a barrel in 2016 as U.S. producers prepare to increase activity later this year by raising equity, reducing debt and “building an uncompleted well war chest,” according to the report. Despite global declines in spending that have driven up oil prices in recent weeks, oil production in the U.S. is still rising, wrote Edward Morse, Citigroup’s global head of commodity research. Brazil and Russia are pumping oil at record levels, and Saudi Arabia, Iraq and Iran have been fighting to maintain their market share by cutting prices to Asia. The market is oversupply, and storage tanks are topping out. “We’re going to have an abundance of crude. Storage is going to be topped out very soon and the front month spread is going to continue to deteriorate,” he said. Some addition information; The cost to store a barrel of oil in an oil tanker at sea is about $1.20 per month. The cost in land storage tanks in the U.S. is about $0.50 per month. Oil is also being sold in the future markets and the December price is $8.00 higher than the May price. The oil futures market is pricing oil contracts below $60 a barrel until May 2017. Before you decide who’s view may be right, Goldman & Citi depend on their trading operations to add earnings to their bottom line. I would take their views with a grain of salt. Jim Cramer was a hedge fund manager and now is paid to entertain you on T.V. Dennis Gartman wants to sell you his very expensive newsletter. Boone Pickens retired from the oil & gas business a billionaire however he is 86 years old and his view may not be very accurate. In my humble opinion, I think the CEO of Exxon’s view is worth your attention. What is your view on the future price of oil? Are you a bull or a bear on the oil patch? 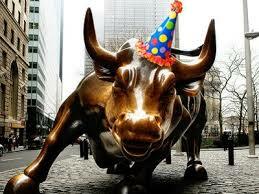 Are you surprised that the party on Wall Street is back on? Fed Chair Janet Yellen didn’t take away the punch bowl. She dropped the word “patient” from the post-meeting statement, an indication that the era of zero interest rates was about to end. Traders were seemingly caught off-side, with many expecting a more a hawkish Fed. The stock market was negative before the announcement and turned positive with the Dow up triple digits, a 350-plus point swing. The Dow ended the day at 18,076, a gain of 227, and the S&P 500 was up 25 at 2099. Gold, oil, the Euro and the Canadian dollar all went up in price as the value of the U.S. dollar dropped after the Fed statement was release. Both short-term & long-term bond prices went up and yields went down. “Just because we removed the word ‘patient’ does not mean we will become impatient,” Fed Chair Janet Yellen said at a post-meeting news conference. “The Committee anticipates that it will be appropriate to raise the target range for the federal funds rate when it has seen further improvement in the labor market and is reasonably confident that inflation will move back to its 2 percent objective over the medium term,” the statement said. What was really important were the comments made during the press conference by Fed Chair Janet Yellen. She made it clear that the FOMC is looking for further improvement in the economy. The FOMC members have adjusted their projections lower for economic growth and inflation. Citing a slow housing market, a weakening export market and a lack of wage inflation as some of the main reasons. The stronger U.S dollar has lowered import prices plus the fall in crude oil prices will lower the rate of inflation. Full-year 2015 GDP projections fell from a range of 2.6 percent to 3.0 percent in December to 2.3 percent to 2.7 percent from this week’s meeting. Core inflation (excluding food and energy prices) dropped from a 1.5 percent to 1.8 percent range to 1.3 percent to 1.4 percent. Headline inflation expectations declined from a 1.0 percent to 1.6 percent range to 0.6 percent to 0.8 percent. Of the 17 members, including those who do not vote, 15 said 2015 is the right year to being tightening policy, while just two supported waiting until 2016. I am by no means an expert but here is my 2 cents worth. I think that more data on the health of the U.S. economic is needed before a rate decision will be made. The 4th quarter growth in the U.S. was only 2.6% which isn’t exactly stellar. Consumer spending was negative for both Dec. & Jan. which could lead to weaker growth in the first quarter of 2015. 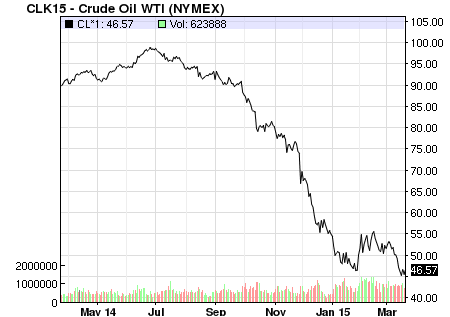 The low price of cruel oil is deflationary and would get worse in an environment of raising interest rates. If I had to guess, a small rate hike wouldn’t happen until sometime in the fall of 2015 however I do have some cash on the sidelines. I still stand by this prediction, what do you think? 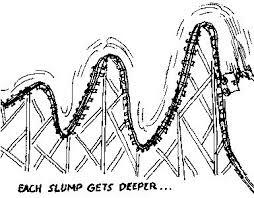 It seems that the roller-coaster ride isn’t over yet! I am scratching my head over the fact that traders are talking about wording from next week’s Fed meeting. Apparently, removing the word “patient” from the Fed minutes means that a June rate hike is back on the table. Raising interest rates should be seen as good news. It means that the U.S. economy is getting stronger. Last Friday’s job numbers and the lower unemployment rate were better than expected yet the good news caused a massive market sell-off. Yesterday’s market rally was based on bad news. Retail sales numbers for February came in weaker than expected. 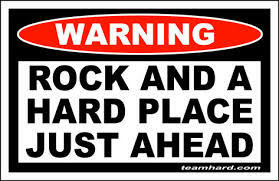 Fed chair Janet Yellen is stuck between a rock and a hard place. Low oil prices and a stronger U.S. dollar is deflationary. Plus the savings from lower gasoline prices haven’t shown up in retail sales yet. It could be the cold weather that is keeping consumers at home or may be they are paying down debt. The February job numbers show economic strength but wage increases are still weak. For what it is worth, I think that the so called ” smart money” on Wall Street is dumb! The stock market sold off in October because traders were convinced that the end of Q.E. would lead to higher interest rates. What they missed was foreign money was coming in to buy U.S. bonds replacing what the Fed was buying due to lower bond yields elsewhere. The main reason for raising stock prices in February were the dovish comments from the Fed. Going forward, Q.E. in Japan and Europe is driving bond yields even lower. The current yield on a German 10 year bond is .25% so even if the Fed raises rates in June, foreign money will come in driving U.S. rates lower. It appears to me that Wall Street is looking for an excuse to take some profits. Removing the word “patient “from next week’s Fed meeting may be the key to influencing stock prices. Panic selling will only increase Wall Street’s trading commissions. If you have some cash on the sidelines, get ready for a possible market correction, it could be a good buying opportunity. Disclaimer: I do have a degree in economics but I never had a job as an economist! The major bull market in bonds has lasted for nearly 33 years. The 30-year Treasury yield hit its all-time a high of 15.20% on Sept. 29, 1981 and the 10-year’s yield record high came the next day, at 15.84%. In contrast, today, the 30-year yield is 2.84% and the 10-year’s is 2.24%. 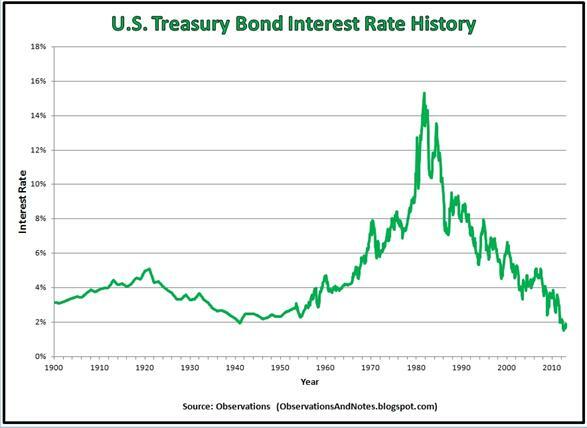 The astounding chart below shows that the Fed has successfully forced T-Bond Interest Rates to lowest level since 1900. Only once in all this time did rates reach the 2% level and that was in 1940! In my humble opinion, the bull market in bonds is over. Fed chair, Janet Yellen wants to raise rates sometime in 2015 which will decrease the value of bonds and increase the yields. Q.E. in Japan and Europe have already caused negative yields on foreign bonds. A bear market in bonds will make target date mutual funds and couch potato strategies less effect in reaching retirement goals. A younger worker hoping to retire in 2050 would choose a target-date 2050 fund, while an older worker hoping to retire in 2025 would choose a target-date 2025 fund. Because it has a longer time horizon, the 2050 fund would likely be weighted heavily toward stocks, with a relatively small percentage of bonds and cash equivalents, while the 2025 fund would hold relatively more bonds and cash equivalents and fewer stocks so it would be less volatile and more likely to contain the assets the investor needs to begin making withdrawals in 2025. The fund’s managers then rebalance the fund’s assets each year and keep its investments on track to meet the fund holders’ goal of using that investment to begin paying for their retirement in a particular year. 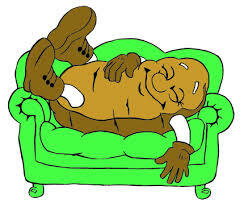 The Couch Potato strategy is a do it yourself technique for building a diversified, low-maintenance portfolio designed to deliver the returns of the overall stock and bond markets with minimal cost. 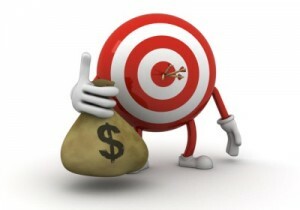 The strategy, also called index investing or passive investing, has been around for decades. It has become far more popular in recent years, as new products and online discount brokerages have made it easier to implement. Anyone can now build and maintain their own portfolio using index mutual funds and exchange traded funds (ETFs). Both strategies have become very popular in recent years because research shows that actively managed funds underperform the overall market. Standard & Poor’s reports that over the five years ending in 2013, about 22% of actively managed Canadian equity mutual funds delivered higher returns than their benchmark index, while the figure for US equity funds was about 12% and for international equities was just under 14%. The major problem of both these strategies is increasing your bond exposure as you get older. With interest rates near all-time lows, return on bond funds over the next 10 years will be well below historical averages. The SPDR Barclays Long Term Treasury ETF yield to maturity is 2.62% Even if we assume that rates remain at historically low levels over the next 10 years and that average yields are still 2.6% in March 2025, your total return in bonds will be only 2.6% per year. This of course is a best-case scenario. If interest rates rise at all, the returns on bond funds will be even lower and unlikely to keep pace with inflation especially after paying income tax on withdrawals. Investors in their late forties and early fifties saving for retirement are in for a big surprise if they increase their exposure to holding more bonds as they get older. The next 30 years are going to be a lot different than the last 30 years in the bond market returns. With all this money printing world wide, could we revisit the hyper inflation crisis of the 1980’s? I will never forget my bank offering me a 5 year fixed term mortgage at 21% when it came up for renewal in 1982! Lucky for me that I was smart enough to renew for only one year at 17.5% and interest rates came tumbling back down. Disclaimer: This post is for discussion purposes only!! U.S. Oil Supplies Surge Again! U.S. oil inventories increased more than expected for the 8th week in a row. Oil stockpiles were expected to grow by 3.95 million barrels but came in at 10.3 million barrels. The April spot price of oil dropped below the $50 mark when the numbers first came out but recovered very quickly and actually increase in value during the day. Production from shale-rock formations makes up about half of the total U.S. output and the other half comes from off-shore wells, like the ones in the Gulf of Mexico. Unlike the giant gushers behind previous oil growth, the shale boom was driven by thousands of new wells that could be drilled quickly and relatively cheaply, but fade fast after an initial burst of production. Unlike other petroleum formations, the nature of shale’s short-lived wells, means producers can stop and start drilling on a dime. This allows them to quickly cut costs in a downturn but every time prices tick up, so will their production. The business media is still speculating that oil prices may have hit a bottom because the price of WTI has been in the $50 price range for the past six weeks. Countless traders and hedge fund managers are getting more confident in recommending putting some money into the oil patch. Oil trader Andy Hall has closed out his bearish bets on oil and is predicting a price recovery in crude sooner than many analysts expect. In his most recent letter to investors, dated Monday, the chief executive of the $3.2 billion commodity hedge fund Astenbeck Capital Management harks back to a classic rationale for his bullish point of view: that the cure for low prices is low prices. Keep in mind, hedge fund manger Mr. Hall is gambling with rich peoples’ money and will get a 20% bonus on any profits. He doesn’t have to repay bonus money if he is wrong! Unlike Mr. Hall, I am going to wait until the oil storage tanks are full before considering any investment in the oil sector. Plus, the large intergraded oil companies, Exxon, Chevron, BP and Royal Dutch Shell will all report their earnings near the end of April. I would prefer to see some earnings and guidance going forward before investing. I wouldn’t be surprised that both BP & Shell will have to cut their annual dividend. I have a feeling that their future earnings will not be enough to cover the cost of their current dividend. (Bloomberg) — Exxon Mobil Corp. sold $8 billion of debt in its biggest bond offering ever and the largest energy-related deal since the plunge in crude prices that began in July.